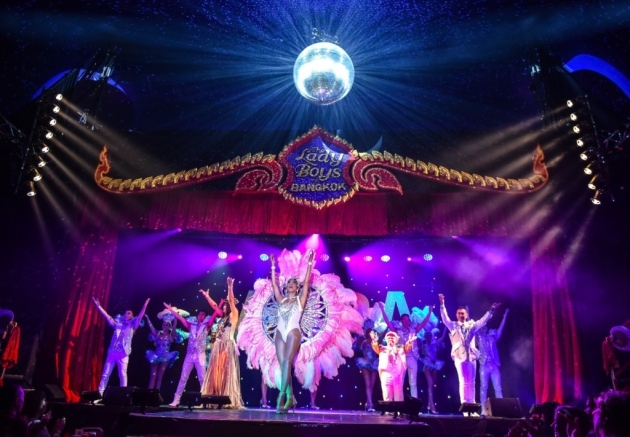 The billing for The Ladyboys of Bangkok at the Playhouse, Weston was fulsome to say the least, and I was expecting sparkle, sequins and glamour on the stage; well, there sure as hell were a lot of sequins! The 16 glamorous showgirls appeared on stage with enthusiastic smiles, tight costumes and decidedly dodgy choreography, and the audience settled down to enjoy a night which was had been advertised as “Hotter, funnier and as cheeky as ever!”. Well, that might have been what was promised on the tin, and had we been stuck in an 80’s time warp, the comedy sequences that were a monotonously recurring theme of the first half might just have worked; sadly, I was not alone in wincing as they ploughed their way through routines that involved the humiliation of a stooge, who was an aging, balding, “vertically challenged” gentleman. We then move on to the Wonder Women theme of the show, which featured a very bizarre array of characters: Wonder Woman herself was bordering on flat chested, which really didn’t work, and then Mary Poppins appeared! Sadly, this odd inclusion was a very heavy handed way of re-wording of one of her best known ditties to be sung as ’SuperCharliefragilisticexpialidocious’ and we were back in very jaded “drug references, aren’t we naughty?” mode, which was just plain exasperating.. This uncomfortable reprise of the Benny Hill style of entertainment did appeal to some of the older members of the audience but several younger people near me were shifting restlessly in their seats and I could only hope that this was not going to continue for the rest of the evening. Fortunately, the second half concentrated more on musical performance, featuring the best known hits of Lady Gaga, Cher, Shirley Bassey, Pink and Rihanna to name but a few, and the spectacular costumes were certainly a sight to behold, showing off those showgirl legs to great effect (I’m bloody jealous!) Once we progressed to an Abba’s greatest hits rendition, the audience were singing along enthusiastically, and the show was finally beginning to engage a wider cross section of people. Unfortunately, this appears to be one of those touring shows that might find a comfortable niche on a cruise ship, but for me, it has reached its sell by date, and if challenged to describe it in one word, I could only use “tacky”, particularly when the audience was constantly being encouraged to have their photos taken with the cast for a fiver a time…frankly, they would have to pay me! 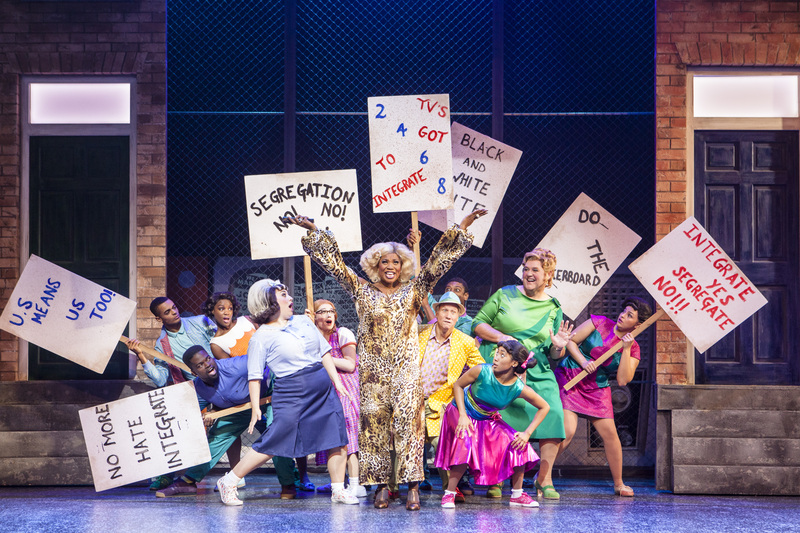 LadyBoys, you have glamour, fab costumes and make up, but I suspect your era and style of cabaret is drawing to an end, and I’d like to think that a dignified retirement of this show might happen in the not too distant future – limping along like this is a fate you do not deserve!